Personalized gift cards can be purchased from any FusionPOS register or via the web and used at anywhere FusionGCS is present. Balances are tracked real time via Fusion Gift Card Server. Ideal for promotions, loyalty programs, weddings, etc., Gift card balances can be accessed real time via a secure internet logon. Implementing gift cards is an ideal way for your current customers to recommend their friends and colleagues to your business, while also giving them the choice to buy exactly what they like. 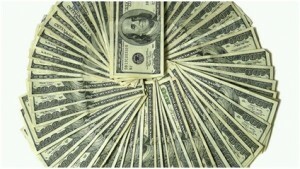 With over $90 billion a year business globally, there is a large potential market for you to tap into. Am I charged for every transaction? With FusionGCS you have the option of paying for the software up front or spreading you cost over the course of time by paying a minimal transaction charge. Can I integrate gift cards with my website too? Yes, Fusion GCS allows you to integrate existing websites into the module. 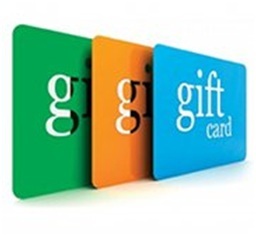 Sell a gift card at your store, redeem it online. Fusion can provide you with an integration document so you can plug any 3rd party application into it. Utilizing either Sage Payment Solutions or Payware PC, Fusion Credit Card processing provides seamless integration with credit card processors. 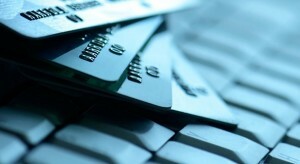 PCI compliance is assured because the credit card number itself is never retained either in FusionPOS or in the ERP. Authorizations numbers are passed through to FusionPOS and the ERP for easy tracking. The number of sales compared to the quantity of potential customers, or the “Conversion Ratio”, is the holy grail of retail analytics. Without knowledge of how many potential customers entered your store, you don’t know how many left without buying. It provides accurate, real time counts that’s visible at the store or at the corporate offi­ce. It’s also easy to use and simple to install! Hourly traffic patterns can influence staffing requirements, break times, business hours, etc. Advertising and Social Media. Sales statistics don’t necessarily shed light on the effectiveness of advertising or media campaigns. Successful campaigns may drive increased foot traffic but not yield increased sales. Fusion Traffi­c Count helps identify other factors influencing buying patterns. Personnel Effectiveness. Which sales people are most active during peak times? During down times? Which sales people are most effective and why? Low conversion ratios may indicate a need for more training. 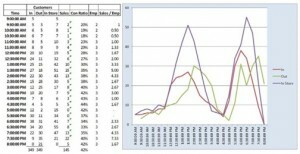 Side by side analysis of store traffic patterns and sales can highlight pricing irregularities between markets. Time in Store. How long do clients spend in the store? More exposure usually means a better buying experience or can signal poor sales support. Merchandise Mix and Store Layout. How do changes in the merchandise mix and store layout affect traffic? Are end caps or window displays pulling in traffic only to have the client lost in the store? Effective traffic reporting will highlight traffic to sales discrepancies. 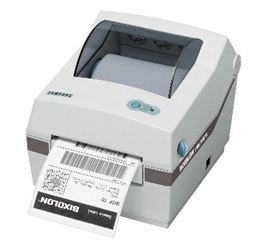 Print item/price, bin or shelf labels directly at the store with Fusion Label Printing. Print a list or range of items and set quantities, or print directly from a PO or SO. Labels can be formatted for most standard label sizes. Supports using multiple templates, easily selected at time of printing. Compatible with Zebra direct thermal printers which support the Zebra Printing Language II (ZPL2). Every store should have one! Schedule resources and tasks using items directly from your Fusion database. With a click of a button, have the event transferred to your register as a sale. Ideal for class scheduling, salon appointments, or even keeping track of employee schedules, vacations, travel time, etc. 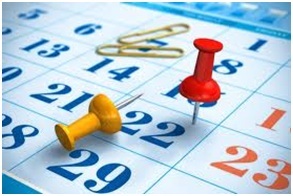 Add items, manage schedules and resources from a single integrated calendar. Fusion Scheduler also allows you to set up appointment groups, change resources on the fly and assign commissions for a sale. Cash room is designed for multi-register high volume environments where counting cash at the time of shift closing is not available. Installation of Fusion Cash Room is done in a secure back office where you can confirm your end of day counts and consolidate them into a single deposit report. Make reconciliation easier and more efficient with Fusion Cash Room. Pricing in retail is one of the hardest things to manage. Being competitive may be the difference between a sale and an unhappy customer. Fusion gives you several options for pricing in addition to that of your ERP solution. Fusion Advanced Pricing: For the advanced retailer that crosses and/or combines promotions and products. Fusion Cost Base Pricing: Pricing that allows you to focus on your margins and ensure you are profitable with your discounts. Fusion Retail Rounding: Standardize your pricing with the ability to calculate and round to the closest .01. Pricing schemes in conventional ERP solutions do not meet the requirements of today’s retailers. Washer and Dryer priced separately $500 each but when purchased together $800 for the pair. Buy two of item A and get 50% off a third; buy three and get the fourth free. 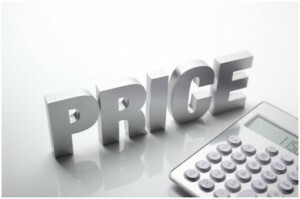 “As of” price changes-Frequently, vendors will announce future price changes. Your ERP may allow “as of” price changes but it does not allow “as of” cost changes. Fusion enables you to set cost changes at a future date and align price changes accordingly. Vendor promotions- How do you match cost promotions with price reductions? Fusion allows for effective dating of cost changes and the ensuing price change. Purchase orders will automatically reflect the updated cost during the desired period. Likewise, retail prices will automatically adjust down and back up to mirror the cost promotion. Margin maintenance- Maintaining target margins is simple using Fusion. Simply enter the target margin by vendor, inventory class or product line and prices will automatically adjust commensurate with the cost change. 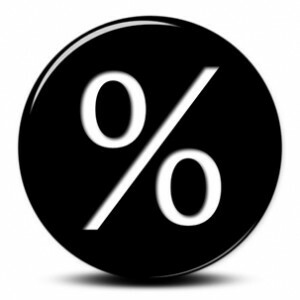 Using Fusion Retail Rounding will also ensure that new prices will adhere to the desired pricing format. Set your pricing based on start/end dates, add custom displays that will appear on the receipt and have detailed reporting on what price specials are working. Fusion allows you to manage your pricing from every angle, allowing you to be competitive in an ever-changing market.